As seasons pass and weather changes, humans seek relief from the harsh conditions of their natural environments. The hottest month of the year in Mexico - May - is soon to arrive, and so it is natural for my thoughts to drift towards what will soon keep me sane. Contrary to popular belief, a ceiling fan does not actually change the actual temperature in a room. That is the job of air conditioning, another marvel of the modern world. Air conditioners actually alter the state of air through a refrigeration cycle, free cooling, or dehumidification, but they are a topic for another day. The subject of this article, is, of course, the modern ceiling fan and how it functions. Before its operation can be explained, however, its components must be examined. Central to the ceiling fan's functionality is its electric motor. Now, it would take way too long to explain how an electric motor works, so let it suffice to say that electric motors can pull the necessary energy for their machine through either (a) wires connected to an electric generator or (b) batteries. The next intrinsic element is the fan's blades. The electric motor forces the blades to move in either a clockwise or counterclockwise rotation, and the blades are usually composed of plastic, wood, or some kind of metal. The blade irons are what attaches the blades to the electric motor. The flywheel is a pair of metal rings that are connected to the motor and through which the blade irons are attached. Finally, there must be some sort of device to attach the fan to the ceiling, whether it be a downrod, ceiling bracket, or a U/J-bolt. Right, back to how the ceiling fan functions. As mentioned previously, ceiling fans do not change the temperature of a location. Instead, they move the air around, displacing heat and making the areas around human heads cool. Now, if the blades move in a clockwise direction, warm air will move upwards, towards the ceiling, while colder currents are forced down towards the floor. If the blades move counter-clockwise, however, the opposite occurs, and that is how most ceiling fans are set up. Circulating the air of the space, cold and hot waves of wind are forced to displace each other through the violent intermediary powers of the modern ceiling fan. That is as short as it can be summed up. There are many other interesting factoids about ceiling fans to share, so a brief mention of the most interesting of these would not be remiss. The first is a partial breaking of a popular myth: that ceiling fans are dangerous. In 2004, the "MythBusters" group conducted a few tests on whether or not this was true. It turns out that residential fans (made of plastic, wood, etc.) pose few dangers, and are hardly lethal, while industrial fans (made of metals) can actually cause damage and lethal strikes (if rarely). Another intriguing discovery is that a wobbling ceiling fan is not the harbinger of impending collapse. What causes a ceiling fan to fall is if the pins which hold the fan to the ceiling are not secure, and more often then not, they are. The reason they're wobbling in the first place is likely due to blade imbalance. Finally, the history of the modern ceiling fan can be summed up as "The Rise and Fall and Rise Again of the Ceiling Fan". No, seriously. An American by the name of Philip Diehl patented, created, and popularized his ceiling fan throughout America. The Great Depression, however, and the invention of air conditioning in the 50's meant that ceiling fans fell out of favor. Meanwhile, international countries like India and places in the Middle-East became enamored with the ceiling fan for its greater efficiency and cheaper costs as compared with air conditioning. 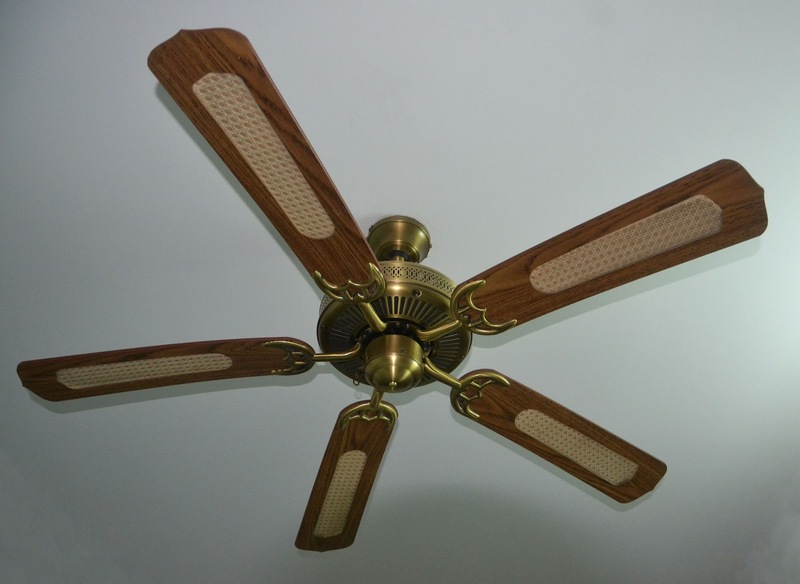 A company in India perfected the modern ceiling fan, and eventually, the U.S.A. started importing foreign ceiling fans everywhere. There is a lot more going on in the background with ceiling fans, but these are the important parts. Einblick seeks understanding in all things, no matter how ridiculous or unimportant. Well, maybe that's just the excuse I told myself so that I could write this article.